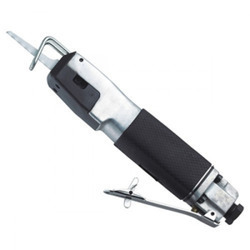 Make fast work of body panel crimping and cutting, bushing driving, shearing and general front end work with this air hammer, a super duty tool that produces up to 3000 blows per minute. Pneumatic saw & file.Cutting metal plates with saw blade. Finishing dies with file. Deburring die-castings with file. wood, plastic, and fi breglass. The FRS-45 Air Saw is equipped with a damper to minimize vibration and, a stroke regulator and blade cooling device. The cutting direction is adjustable to provide optimal operator comfort. 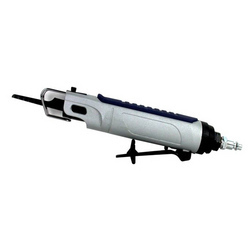 - Air Consumption 28L/Min , Air Inlet 1/4"
- Adjustable blade guard to control cutting depth.